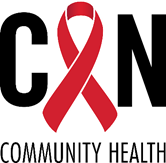 The most recent data shows that over 100,000 people in Florida are living with HIV today, and that number climbs daily. Even more startling is that 75% of them are living at or below the poverty line - limiting their access to care - and costing lives. We can do something about this. Every dollar you donate - EVERY. SINGLE. DOLLAR. - goes to Metro or another AIDS Service Organization in Florida. Please consider donating today. PS - Know your status. Go get tested! Have some "SMART" words of encouragement for Chrys? Share them here -- but no sordid stories please, everyone will see this! We are so proud of you for doing this! Fighting the good fight! We are the ones we've been waiting for. All love from Jenny, Liam and I! You got this. Good luck and have fun on the ride! Thank you for raising money for such a good cause! You are outstanding! I'll be praying for you & truly appreciate your supporting this great cause!! You are the best husband in the history of the world.